The setup for each person! 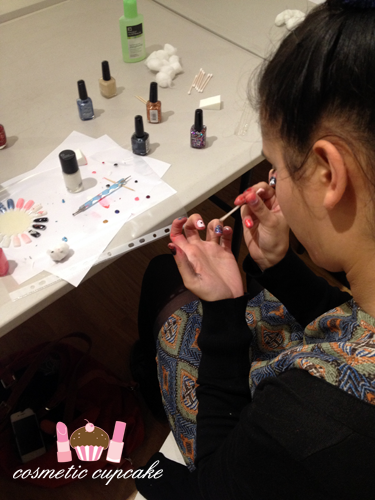 The nail polishes and remover were very kindly provided by Face of Australia which everyone was so appreciative of! 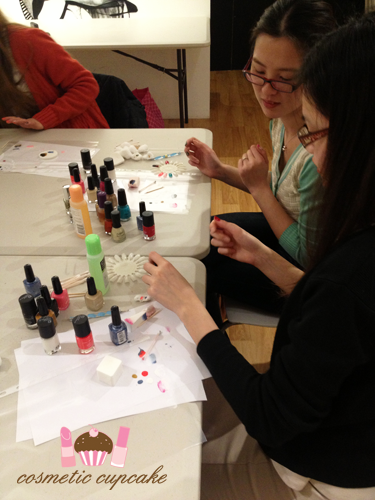 It's always fun playing with someone else's polishes haha. A huge thank you to Camilla for helping me set up beforehand!! I taught 3 basic nail art techniques on the night - dots, glitter gradient and sponged ombre - and then showed how easy it was to adapt them for more complicated designs. I don't think I make the best teacher but everyone tried it all out and seemed like they were having loads of fun! 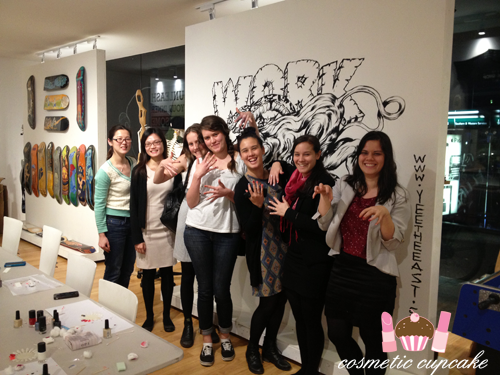 Ladies showing off their fab nail art at the end of the class!! Thank you to everyone that came! 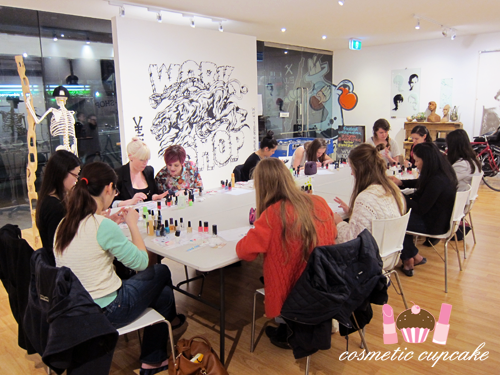 I'm teaching another beginner's nail art class next Monday 23rd September and tickets are still available! 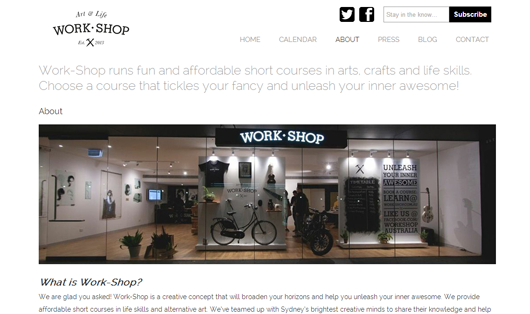 If you fancy learing some nail art with me, head to the Work-Shop site for full details and to book.